Horse drawn wagons, carts, equipment, sleds. The Horse and Mule Days and Auction have been canceled for May of 2018. Hope to see everybody in May of 2019. Thanks to all that came and enjoyed learning from the best teachers around! Plan now to pack up the family for a couple days of fun in May 2018. Be ready to be taken back in time with horse-drawn equipment demonstrations, wagon rides, and a country-style dinner and lunch. 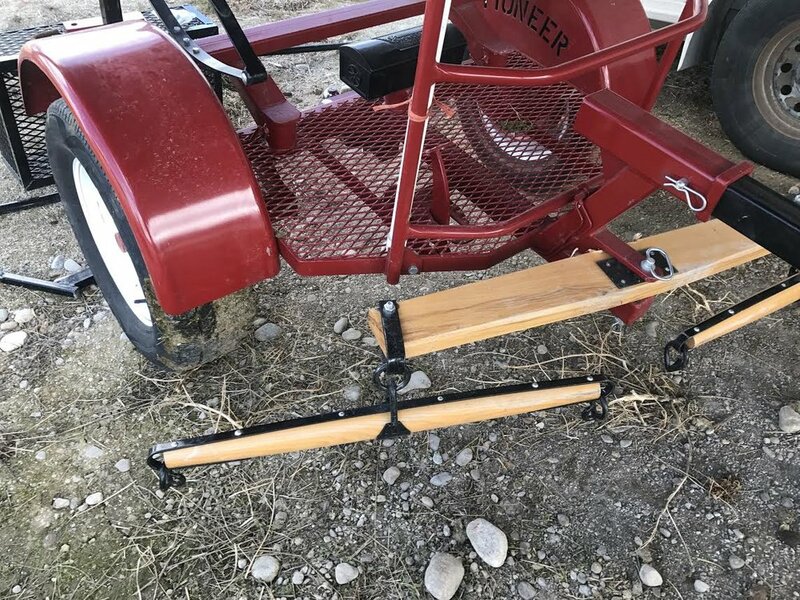 This event will allow you and the family to share in the fun of seeing horses demonstrate how each piece of equipment works and what it does. You will see plowing, harrowing, discing, haying, and round pen training as well as classes on packing, driving, training, and harnessing. Don't forget to bring any horses or horse related items that you would like to sell during the auction. Let us know if you have items, equipment, or stock you want included in the auction. If you would like to advertise your items, please let us know ahead of time. Review photos below to remind yourselves of what you enjoyed or show you what you missed this year 2017. Outfitter Style Chili Dinner Friday evening was amazing! Saturday Hog Roast was superb! 4:00-5:00 Harness considerations for safety, comfort, and function. Collar fitting and adjusting harness properly. 5:00-7:00 Outfitter Style Chili Dinner made over a campfire and served out of a wall tent. brand new Adjustable Mule collars, 20" - 22"
Tack, saddles, saddle racks, nylon webbing, 19", 20", and 22" driving collars, and much more! WESTERN HORSE AND MULE DAYS is an equine event and participants acknowledge the inherent dangers of such events. Montana law states that a person or entity is not liable for damages sustained by another solely as the result of risks inherent to equine activities. CONSIGNMENT ITEMS: All items sold at the auction are "AS IS" and "WHERE IS". No warranty is expressed or implied. Please examine all items thoroughly before placing bid. COMMISSION RATES: 15% per item $999.99 and under, 10% per item $1,000.00 and up. Below are some photos of Horse and Mule Days 2015.